Voting is now Open, and will close at 10pm GMT on 14th December. Each of these players has decided to stand for election to the UKBGF Board and you can read all their self-nomination statements here. Voting is now open, so when you are ready to cast your votes, click here to be transferred to SurveyMonkey. Individual votes are not public and will never be made public; however the election arbiter (Julian Fetterlein) has access to voter submissions for verification purposes. See the eligibility criteria in the previous blog post to verify that you may vote. Compulsory identification fields are: name, address including postcode and country, and email address. If you wish all your personal details (except email address) to be deleted after the election process, please request this by email to contact@ukbgf.com. Only one response per computer will be accepted. If two eligible voters live at the same address, they must use different computers if they both wish to vote. You must vote for at least one, and not more than seven, of the candidates. Tick the N/A box of every candidate who will not be receiving your vote; these will then drop to the bottom of the list. You can change your mind, reselecting and deselecting these candidates any number of times before submitting your votes. Decide on an order of preference for all your chosen candidates (1st choice =1, 2nd choice =2, and so on, down to 7 if you are voting for the maximum permitted number of candidates). Once again, you may re-order this list as often as you like before submitting. If there is doubt about your eligibility after you have submitted your votes, you may be contacted by email for further information. Online players are eligible to vote if they are known within the live backgammon community. Julian Fetterlein (who will not be voting) is the final arbiter in cases of doubt. After voting has closed at 10pm on 14th December, Julian Fetterlein will count the votes and calculate points awarded to each candidate. Seven points will be awarded for each first place vote, six points for second place, and so on down to one point for seventh place. The seven candidates who have accrued the most points in the election will be declared members of the new UKBGF Board. REMEMBER, THIS IS NOW YOUR FEDERATION! I wondered what the candidates view was on player selection process for prestigious live and online team and individual events where the selected players have the honour of representing the country? Should this be left in the hands of a single selector to choose the team, taking on the Captain’s role where required. Or should there be some rational basis of selection controlled through a selection panel to ensure transparency and best practice? I believe that once we have a national ratings and ranking system in place, we could employ a system for team selection much as the Ryder Cup team is selected, i.e. a certain number from the top of the rankings and a certain smaller number picked by the team captain. Until this is in place, I would suggest that captain and team selection should be in the hands of the board. Only two events spring to mind. The online EBIF tournament hosted by GridGammon and the UK vs Japan live event at the UK Open in September, these being 5 and 3 person teams resp. I echo Simon’s comments: the Ryder Cup analogy looks like a good idea with 3/2 and a 2/1 split, with the board taking on the onerous task of determining who the stronger players are until the ratings system is in place. In addition to the events you mentioned there is the new EuBGF National Team Tournament held in Croatia this year. The online EBIF events, European Cup and Champions Cup will each need selection of three national players, until the UK Organise a National Online Championships. Before the formation of the EBIF, there was an annual very prestigious online team event, “the Nations Cup”, where the UK where one of the top 5-10 performing teams, over the 3 occasions it was run. The rights to this event are now with the USBGF who may decide to start running again next year. Maybe another option is the board appoint a panel of experts who utilise whatever means are at their disposal to short-list, and then vote on the team members plus reserves. The selection panel jointly with the team members could then vote on the Captain who could be non-playing. Choice of Team positions could be the responsibility of the Captain. Agreed – though it may be a while before rankings are stable enough to be a clear guide (and we’d have to watch out for potential gaming of any ranking system if a national team place were at stake). If the number of matches grows, I like the idea that the Board form a selection panel to appoint a Captain for a set period of time (a year? ), then work with the Captain to pick teams for individual events. Generally speaking, from my experience the best live players play to a similar level online provided they are familiar with the software and take the matches seriously. There are bot-using cheats bot most of these tend to be associated with gambling sites, which Grid Gammon, the host for most international online events, is not. All current major online events insist that matches be submitted for analysis which besides providing PR-ratings for teams and players, may be used for scrutiny when cheating is suspected. Proctoring has also been used where significant prize money is involved. Whereas Live UK national or resident players will be able to adapt for online play, the same is not always true of players who tend to play exclusively online. They may be geographically remote from the UK or other venues from live events, have limited financial means, have poor mobility, or suffer some disability or significant health issues which prevents them from engaging in live play on any sort of regular basis. Yet they can function at high levels of competence online. Always hard decision to make; all down to strategy and who we will be playing; like football and rugby you have to see the othersides strength and weaknesses. Back slapping has to stop this unfortunately is a problem in all competitive sport until it is eventually pushed out! You can’t stay at the top of the premier league if your doing favours or worried about hurting feelings! In reply to Rick and following on from Jon Barnes’ comments, as well as the EBIF online tournament and the UK v Japan challenge at the UK Open there was the 3rd IBC, for which I helped to round up 16 UK players to enter last year. 1. Finding 16 willing players for the IBC event and getting them to pay the registration fee was a time-consuming job which would have been even more cumbersome if all decisions had to be ratified by a committee. 2. The interim board did not want the job of selecting players for the EBIF and was happy to delegate the task to a trusted captain/selector. 3. Sometimes players are interested, but do not want to commit to being available for selection (for the EBIF online team in particular). Having a captain in charge of selection ensures a swifter response to late changes in player availability. 4. The selection of the 3-player UK team to play Japan at the 2014 UK Open had to be finalised quickly. I think that most players were in agreement with the choices of Julian Fetterlein and Raj Jansari for two of the places. The final place was more difficult to allocate as there were a number of players who could have claimed eligibility for inclusion. Once again practical considerations took precedence: Lawrence Powell was available, was undoubtedly one of the stronger candidates, and had agreed to give the Japanese team a lift from London to Coventry. He would therefore be there, ready to play, when they were. The interim board unanimously agreed to ask Lawrence to be the third member of the UK team. Bearing the above points in mind, and until a better system is readily available, I am content with the system of a captain appointed and advised by the Board, as suggested by Julia. Finally I should just add that I completely refute the suggestion implied (intentionally or otherwise) by Tariq’s comment that favouritism has already featured in UKBGF team selections. I did not know how the selection process was exercised so therefore there was no implication to you. But at early stages in most if not all sports/competitions it is only human nature to give ones friends and close associates preference; and why wouldn’t one as there is no proper procedure in place. All I’m saying that we need to get to a fair way of selection asap for transparency if not anything else. I would also like to add that I will be voting for you as I believe you have done an amazing job. I would like to wade very carefully into this debate about selection for international play. I think Peter has pointed out the strong pragmatic considerations: selecting people who are free, keen, willing to travel/pay, and are of a decent standard. I do not believe there has been any nepotism or lack of transparency to date, and we shouldn’t make mountains out of molehills here. The interim committee have fielded the very best possible team for the UK/Japan match and have done so in a sensible fashion. Also I think it crucial to point out that backgammon shouldn’t be taken too seriously. i.e. it is not a major pastime and it isn’t going to become one anytime soon. We should do the best we can to promote the game without dreaming up grandiose and clearly unachievable plans i.e. to get the game to the status of poker in under a decade or getting major TV or sponsorships out of the blue… talking too much about pie in the sky will distract us from the things we can do, like hosting charity jackpots at our events or using some membership fees to fund a few backgammon clubs at different high schools or universities or lobbying Patti and Steen for various changes/standardizations of the World Championships. Hence a key job of the committee will be to differentiate between actualizable ideas and pie in the sky ones and then choose a few actionable programmes and pursue those as low hanging fruit. I have a novel idea that rather than having the rankings system for all play inside the UK determining this (because it takes a long time to set up and we don’t have rankings yet, etc)… We should start by working with the data we have just from UKBGF events. I believe we have had at least one such big event (UK Open) and all the qualifiers for it which were also UKBGF events. Presumably the draw sheets exist from these events and the results are tallied somewhere. So the UKBGF committee should keep track of the win and loss records of all players who enter UKBGF events (and getting your event acknowledged by the UKBGF and able to say it is a UKBGF event should have a requirement that the results are compiled into a big spreadsheet of each player’s wins and losses) And once we have this, I don’t think we need a full Elo based ranking system. Just whenever a team event comes up we should operate a mixed/Ryder cup system… i.e. we can offer half the places to the best players (which will pretty much be Julian, Raj, Lawrence for the foreseeable future) and the rest of the places to those players who have played over 10 UKBGF matches and which have the best UKBGF records. I imagine that this won’t always field the absolutely best team (simply having Julian F as Captain select who he thinks are the best given the available people would certainly lead to the best team) but it will be a cool reward for players who are doing well in the UKBGF events that they get to represent their federation in international play.. I think this issue is actually quite pressing as we absolutely must field a team for the European team championship next year or any international team event, I think it was a big shame that we couldn’t cobble together just four people to be in Croatia in September. Curiously, I fancy the UK’s chances even if we are not necessarily sending all our top guys because our top 7 or 8 players have quite a decent standard relative to our non-Scandinavian competitors and doing well at an international event would really get the UKBGF on the map. Therefore, I propose the following, for immediate selection of a UK team for international play, Julian F should be our captain as it would be tough to argue with his credentials as well as integrity and the fact that he is not running for the board also takes away any implication that the UKBGF Board are unfairly using their positions to influence this. Until we have articulated and voted on and established selection criteria (be it a Ryder cup or modified system or the UKBGF tournament performance I propose), we can let Julian as a neutral and legitimate party with vast experience of the different UK players and their skill levels captain and select for us. And this should be an interim stop gap measure until we convene as a board and adopt a protocol for such things. I believe we should have operated on this system in the interim period and set a team of the willing to Dubrovnik. We are from two different schools of thought reality for me, a practical one I might add, pie in the sky to you! The potential sponsors I have are for real and we all know you no longer need Sky to televise an event, although I do have come to think of it contacts at Sky also….with animated imagination we can make BG a national game….. everyone knows how to play it but only a few really know how to really play it and how each game has it’s own story to tell…. A large proportion of International events are online based, where there are detailed stats on players performance. Should all this data be ignored in favour of utilising only UKBGF live results? Should exclusive online players with excellent track records be removed from future consideration? Some players may find it very difficult or impossible to attend live tournaments for reasons of disability, mobility or financial restrictions. Are these to be marginalised for the sake of promoting UKBGF live events? Online data would be very valuable. It may well be the case that a Captain picks different online-play and live-play teams. (As an aside I’m not aware of any systematic research to show people play differently in the two scenarios – has there been any?). Ok… hope that that twinned with my charity jackpot ideas show my commitment to utilizing the charitable impulse and ethos in backgammon players to help grow our game. Due to a conflict of interest with the original questioner, I am going to plead the fifth amendment on this topic. The world has changed as we knew it and it is now possible to have all sorts of tournaments which can be evaluated in different ways. As you know from GridGammon is a route we must pursue. Unfortunately until we have corporate backing it will be hard to get charitable projects of the ground as it will have a constant stop start scenario. Unfortunately when people are not being paid it is a hard thing to get off the ground. That is why I want to go for corporate sponsors as due to the new diversity requirements they need to adhere to we should have to quote Jason low fruit pickings which I have access to. As suggested by Rick Janowski, comments have now been switched into reverse order, with the newest at the top. In the New Year, I’ll be looking to create a proper UKBGF forum, which should be a far better platform for discussion than blog post commenting. This is obviously pending a decision by the newly elected board. Finally, a necessary disclaimer: For the avoidance of doubt all blog posts, subsequent comments and replies on this website are the personal views of the authors of the same and should not be construed as reflecting the views of the UKBGF or any of its interim, or elected, board members. Is it possible to provide comments in reverse order such that the reader sees the most recent comment first rather than scrolling to somewhere near the bottom? I am very much in favour of, clocks being compulsory/mandatory at Championship/Open level, or at the very least, clock preference. A match in the 1st round of the UK Open, was tentatively poised at 3-3, unfortunately, at least 5 or 6 players had advanced 3 rounds in the meantime. This really did affect the natural flow of the tournament quite badly, and many players were rendered helpless, due to a very unreasonable pace of play. A TD, should have the right to enforce a clock, on a match played in this manner. Waiting for matches to be completed, is all part of tournament backgammon. If the use of a clock facilitates, more possibility, of less delay and matches being played at a better pace, this must be better for getting through a tournament. For all other levels of tournament play, I would be sensitive to the players lack of experience with a clock, and say no to compulsory clocks. I believe that, in the match to which you refer, only one of the players was guilty of an unreasonable pace of play. Indeed, I believe this player has a reputation for uncomfortably slow play. Might it not make sense therefore that, in future UKBGF events, the TD has the power to require him, and any other such players, to always play on the clock? This could apply whatever are the clock rules for that tournament. Of course, if such a player entered an event below the Championship/Open level – where you rightly opine that compulsory clocks should not apply – then the controls might be more generous (like 15/2). I also suggest that, even at the lower levels, the TD should be allowed to impose a clock on any match that threatens to seriously hold up the tournament, perhaps even during a game (in extreme circumstances). Clock Preference would seem to be a minimum requirement for Championship/Open events. I believe that BIBA apply it. However, there are players – and they may not be slow ones – who would be less likely to enter such events, which is regrettable. Bearing this in mind, perhaps giving the pro and anti clock players equal rights could be a way forward? That is, rather than one faction or the other always getting their way, such players roll to decide who gets their choice. Hate to disappoint you Richard, I think you’ve done the opposite…you’d have moved to no.1 on my list with that reply 🙂 Genius! I’m now going to use the phrase “you obviously don’t have a proper job otherwise you’d know that meetings are a waste of time….” at my work at some point in the next week. SATIRE ALERT: those susceptible to bouts of moral outrage or fabricated concern should look away now. What a load of absolute twaddle. Hopefully in the next few paragraphs I will demonstrate why I am not fit for running for the UKBGF board but more importantly why I would not want to be on this noble committee. I am sort of OK with the question on tick-tocks but that is more of an operational issue to be discussed after the elections rather than before. However, I commend Adam for asking a question that has more relevance to the game of backgammon and bringing us back on topic. The five key questions posed are what I would expect from the militant wing of a shareholder group regarding remuneration at a FTSE 100 company AGM. Not what I would expect to see on a voluntary committee election page. Not all BG organisers are crooks but these questions imply them guilty until proven innocent. They are contentious and disrespectful and say more about the person asking the questions than the responses say about the responders. I applaud the one candidate who has responded to these questions with the disdain they deserve albeit rather clumsily. I can’t help feeling that some of the other candidates’ politically correct responses have been written with the best intentions but in true political fashion have echoed a “tell them what they want to hear” approach. One beauty of not running for the UKBGF is that I can say what I want without fear of offending the electorate. These are the responses I would like to have seen. So I see this PC hot potato of a question as an ideal opportunity to trip up an unsuspecting candidate who may fall into the trap of being London-centric. However, laced with irony, it is in fact a non-question. The irony being that if the Northern questioner who chooses to live in London ever travelled outside of London for BG he would know that there are regular tournaments all over the UK attended by many other Londoners. In no order of importance, Bristol, Manchester, Liverpool, Blackpool, Nottingham, Newcastle, Scotland (up until recently), Birmingham, Coventry, Dublin and Cork plus a plethora of local backgammon clubs. Please forgive me if I have forgotten your club or event but there are literally too many to remember. But let me be that London-centric candidate for a moment and explain that the UKBGF will be a London-centric organisation as sadly only four candidates live outside the M25. No-one from the vibrant North has stood, despite boasting some very capable individuals with proven track records. Perhaps it was the prospect of having to answer non-questions like this that put them off. Voters will tend to vote for the people they know in this beauty contest. London has the most players, the biggest tournaments, the most clubs and the biggest league so in all likelihood we will get an all-London board. Is this London’s fault? No, the whole of the UK Society is London-centric. Get over it. There is nothing to stop anyone from supporting a non-London event now either as a player or as an organiser. So rather than patronisingly complain about the UKBG being London-centric get out there and support non-London events. For those non-Londoners bitter about London being the centre of the universe. Cheer up; you’ll have the last laugh when the mansion tax kicks in. Are you in favour of the UKBGF adding surcharges to players who do not stay at an event held in a hotel where room rates have been negotiated as part of the package? Strangely enough, hotels don’t like to give out their conference rooms for free. Therefore a BG organizer has to guarantee certain spend in hotel rooms or food spend. Failure to do that generally means the BG organizer has to pay from his own pocket for the room hire. So why should a player, playing backgammon in a hotel conference room not have to pay anything. Unless of course we want to pander to the something for nothing crowd that can appear so vocal & powerful in the BG world. I feel I must jump to BIBA’s defence here as this is a thinly veiled attack on BIBA’s surcharge policy. Michael Crane, of BIBA, never made any secret of the fact that he relied on BIBA to scrape a meagre living. And that is all it was – a meagre living – it was his job, it wasn’t a voluntary role. Most jobs I know collect a salary although I am aware of some occupations, like football agents, who receive their payments in less transparent ways like bungs. BIBA provided a service which for decades was foremost in this country. I wonder how many UKBGF candidates will still be working hard for UKBGF in decades to come especially with incendiary questions like this being posed at them. Do you believe board members should have free room rates – in effect paid for by other players – when tournaments are held at hotels? •	Complain that the biggest tournaments are always held in the same place, namely London. •	They always assume that the TD is making a massive rake from providing them with a clean and pleasant environment to pursue a hobby. •	Insist on 100% attendance at meetings that haven’t happened yet. And of course, if any of these free hotel rooms are out of London quite a few Londoners would be queuing up to pay the one-way travels costs of such a player. In relation to disciplinary matters do you believe UKBGF should have automatic disciplinary jurisdiction over a member who is barred from playing at a local club? It is my experience that there are very few disciplinary matters in UK backgammon. And the few there have been have involved an even smaller number of players suggesting repeat-offending or continuously irksome individuals. In fact disciplinary matters are such a rarity that perhaps the only players that could have interest in such matters are the disciplined players themselves. Mountain and molehills spring to mind. I’ll let you decide who the molehill is. Do you believe there should be a minimum amount of meetings an elected board member should have to attend committee meetings during the year and if so what percentage do you feel is acceptable? This is the one question answered well by the candidature despite the grammatical ineptitude displayed in the question. It’s number, darling, not amount. Perhaps the questioner has never had a proper job otherwise he would know meetings are a waste of time. They are talking shops. I will measure the UKBGF board not by the number of meetings they hold but by the mild annoyances that they stifle from the game. 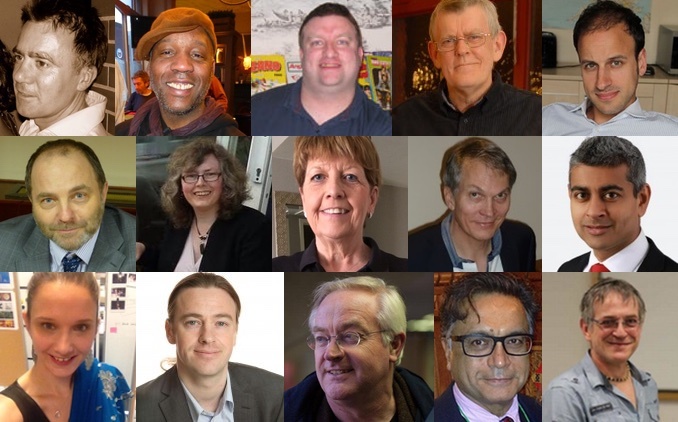 We have 15 prime candidates putting themselves forward for the UKBGF Board from which we will get 7 committed individuals that have been democratically elected. Who really cares where they are from? We should be thankful that they are prepared to give a big chunk of their time and emotional being for the good of Backgammon. As Julian Wilson, the renowned BG TV personality once said to me, you have to be insane to want to run a BG event. Ne’er a truer word spoken. Most of the candidates are still working, they have families, have other interests and, not least, like to play BG themselves. Their time is a finite resource. We should not waste it asking questions like this because you know what will happen if they are to defend themselves before they have even started. We will lose them. They are signing up to this to take the game forward not deal with petty grumbles or perceived past injustices. Their patience will run out and we will lose the brightest and best we have and we may end up with a committee that the author of the questions so apparently fears. With regard to Q2, I’d like to say how much I agree with Richard’s defence of BIBA’s surcharge, and his pointing out of the business considerations that apply in organising accommodation at events. We are free, of course, not to enter any event if we don’t like the set up – whether it’s the rules, format, surcharges, entry fees, rakes or whatever. I believe it’s called the Free Market, and God bless it! As for the rest of his post – I’m steering well clear! Exactly what I said Richard in a more abbreviated way…. I have very much enjoyed and appreciated this excellent debate sparked off by Danny and kindled very effectively by fast and detailed comments from the candidates. This has added tremendous value to the election process in my view. I am also impressed by the ease of voting on the website used. However, I wondered if the weighting used for the 7 votes is somewhat arbitrary. I think for the purposes of the current election it is practical enough, but for future elections this might need some reconsideration. Perhaps this an issue for the future board to consider, along with the possibility of asking UKBGF members to vote on a short-list of viable systems. I think because we need to elect seven members it would be best to give people seven votes all of which count equally. I don’t see why it should be such a huge difference between being people’s #2 vote and #5 vote… i.e. in both cases they want to have you on the board and it certainly shouldn’t be worth seven times as much to be somebody’s number one choice as to be seven people’s choice for their last spot… I have to say that Rick has pointed out that the current voting system favours people with a few close friends who put them at the top of their list rather than people who have good ideas and would be a good addition to the board but aren’t necessarily anyone’s top choice..
Are you in favour of a quarterly tournament held outside of London – one each in places like the South West, North West, North East/Scotland / Midlands. My strong position on the need to ensure that backgammon isn’t just all about London was clearly stated in my written submissions in the ‘other comments’ section so I won’t repeat myself. The precise details with respect to such events however would need to take into account factors such as local appetite for the geographical location concerned and availability of suitable local organisers and promoters. My idea would be that the UKBGF would certainly assist with organisation and promotion as much as possible and may in some instances assist with running the events but that local support would ultimately determine where and how often such events occurred. It may well be that events would start off with modest attendance and build up over time. Attendance could even be assisted by way of sponsorship the active seeking and increasing of which I believe ought to be a clear aim of the UKBGF. Are you in favour of the UKBGF adding surcharges to players who do not stay at an event held in a hotel where room rates have been negotiated as part of the package. I would hope that the UKBGF would be able to negotiate its commercial deals in a way that would be both advantageous for those staying at the venue hotel by providing excellent value deals while at the same time not adversely prejudicing those wishing to stay elsewhere or indeed staying at the venue hotel but having taken advantage of an alternative deal e.g. a favourable internet offer with perhaps breakfast not included. Do you believe board members should have free room rates – in effect paid for by other players – when tournaments are held at hotels. Absolutely not, unless such board members also happen to be non-playing organisers in the relevant tournament in which case free hotel rooms should certainly be considered along with the reimbursement of other out of pocket expenses. In relation to disciplinary matters do you believe UKBGF should have automatic disciplinary jurisdiction over a member who is barred from playing at a local club. As I have mentioned in my written submissions at question 3 regarding future plans, the constitution of the UKBGF is a very important issue and which might help determine policy on questions such as this. However, unless such local club was somehow affiliated to the UKBGF (in which case the constitutional rules would apply), I cannot see how the UKBGF would have jurisdiction over it. If serious issues had been raised however (more than simple clashes of personality) then of course the UKBGF ought to be able to take those into consideration in the interests of its members as a whole. Do you believe there should be a minimum amount of meetings an elected board member should have to attend committee meetings during the year and if so what percentage do you feel is acceptable. This question is perhaps not quite as relevant as it traditionally might have been in two main ways: firstly, when considering that we are now in the virtual age where much can be achieved remotely; and secondly in the context of an organisation which would have members located in various parts of the country as opposed to a traditional corporation where all involved would work in the same building. Having served on the interim committee for the last eighteen months I don’t recall any meetings that were formally organised and attended by all the interim members. Notwithstanding this, my UKBGF email folder contains just under 1200 separate emails so it can be seen that a lot was achieved remotely with people working collaboratively in other ways each being involved in everything but specialising in certain specific things. Thank you for your answers Raj. A couple of people have mentioned internet tournaments. While a good idea to get publicity and members, there’s drawbacks – cheating with bots and impersonation. If there are valuable prizes then there’s a temptation, and it’s going to be difficult for anyone to verify beyond doubt that the game was fair. I think that will require quite a bit of thought! Q1 Are you in favour of a quarterly tournament held outside of London – one each in places like the South West, North West, North East/Scotland / Midlands? 1. the way I see it, the UKBGF will be a facilitator, not necessarily an organiser. So, helping as many local teams as possible to set up their own tournaments, absolutely, yes, through advertising, assistance in set up, inclusion in national data ranking, sponsors’ contribution, etc. Running these tournaments ourselves, perhaps no. 2. the internet is I feel a tool that we are not using enough at the molment to build a truly national audience; if we could set up for instance national online tournaments, or upload classes from master players online, this should also help draw in players from all regions. Q2 Are you in favour of the UKBGF adding surcharges to players who do not stay at an event held in a hotel where room rates have been negotiated as part of the package? Q3 Do you believe board members should have free room rates – in effect paid for by other players – when tournaments are held at hotels? A: Abolutely not as regards any such perks. That said, let’s be realistic, I would expect out-of-pocket expenses to be covered. What we need is a clear policy to make sure that potential conflicts of interest are considered upfront. For instance, if a Board member helps to run a tournament without playing himself or herself, I would expect his/her (reasonable) expenses to be covered, ideally by the tournament organisers, if not by the Federation. If he/she is going there anyway as a player, then I would not expect any reimbursement, unless he/she incurs expenses above and beyond those that he/she would incur as a “normal” player (e.g., if he/she has to arrive earlier to help set it up, etc.). Q4 In relation to disciplinary matters do you believe UKBGF should have automatic disciplinary jurisdiction over a member who is barred from playing at a local club? A: No. To me, the clubs must retain their capacity to decide for themselves on such matters. Q5 Do you believe there should be a minimum amount of meetings an elected board member should have to attend committee meetings during the year and if so what percentage do you feel is acceptable? A: The Board should meet as regularly as possible, and each time with a sufficient quorum so that members present can vote and take decisions. That is the absolute rule. Now, whether a certain member does, or does not, attend is irrelevant, with 2 important considerations: (1) attendance does not have to be physical – conference calls should certainly be encouraged, if only to ensure a level-playing field at the national level; and (2) each member should pull his/her own weight in sharing the Board’s workload – this will probably entail entrusting members with dedicated tasks. Q6 I’d like to know the thoughts of the candidates on the use of clocks? A: I would strongly encourage the introduction of clocks in as many clubs and tournaments as possible, through as many “positive” incitations as possible = introducing “blitz” competitions, getting sponsorship to help stock clubs with clocks, etc. Thank you for your questions. I hope the extra validation you require, will ensure your full support for the federation, and the elected board members, once the voting process has been completed. I am strongly in favour of having a diverse range of tournaments, in different locations across the UK. A definitive time scale, is not as important, as selecting the right tournament in the best place. The tournament structure, should be built up slowly, to increase the chances of high participation. With a long term view, to have Scotland, Ireland and potentially Wales (unknown backgammon area), having a highlighted tournament, that all UK players can enjoy. I am not in favour, of adding surcharges to players, who do not stay at the tournament hotel. The ethos must be, to give players the freedom of choice, to stay where they are most comfortable, and encourage them to attend the suggested tournament. It would be favourable to offer a package of immense value, that is so good, why would you stay anywhere else. Direct commission or a kickback on a hotel deal, is a definite no, if there is a conflict of interest, in regards to penalising attendees. Side commission, or a business deal, that helps to raise funding for tournament costs, is OK. Being a board member, has no entitlement to a free room. If a TD, who gives the tournament more than 12 hours per day of their own time, most definitely yes to a free room. An organiser (example, Peter Bennet for the UK Open) who has given considerable time and effort, to provide the best surroundings for attendees. If they were to produce an invoice for their work in a business sense, it would equate to approximately £7,000 to £10,000. My preference would be, to let that organiser have a free room, as the players would appear to have the lions share of the bargain. Disciplinary matters, are a very sensitive area. They should be addressed on a case by case basis, with privacy and confidentiality being paramount. The UKBGF having jurisdiction over a local club, in regards to barring a player automatically, is not the way to go. 9 times out of 10, it is a disagreement, difference of opinion, conflict of interest, major arguments, personality/character clash that has caused someone to be barred. If an individual has been proven to be cheating,or displaying aggravated behaviour, that puts others at risk, this would have to be considered, for the protection of UKBGF and local club members. Thankfully, I have not witnessed that, in all the time I have been playing backgammon. The amount of meetings an elected board member attends, aside what percentage is acceptable, is a very old fashioned way, of asking for justification of your position. My experience is that, people will always work at their best, in their own environment/habitat. It is better to utilise the strengths of the individual, within the team, and look at the best way to use their skills, for the greater good of the tasks at hand. Communication will always beat committee meetings. With the range of advanced technology, brainstorming, ideas, creativity, and hard working expression, will be maximised. Rather than minimised, with a formal meeting, in the hope everybody can attend at the same time. Danny only wants us all to fund his BG…..that is the motivation behind the majority of his questions! Q1) Not sure about quarterly, but as I said in my submission, we should definitely be establishing a series of events — in as many varied localities as possible — as a credible UK Tour. Some existing events might be included in this, but we would need to augment these with some of our own. There is a shortage of large tournament TDs, which long term needs to be addressed. Q3) No. Tournament Directors would be an exception to this, however. Q4) This would be a question for the new Board, and as others have mentioned, would be affected by whatever constitution is put in place. In principle, assuming it falls within whatever our remit turns out to be, each case should be considered on its own merits. Q5) I think that meeting attendance figures should be published, so that future voters can draw their own conclusions. I’d like to know the thoughts of the candidates on the use of clocks. I think clocks should be mandatory at least in all Championship/Open division matches. I’m starting to practice with them in some private live matches, and it really isn’t so hard once you get used to it (assuming the batteries work lol – hint), and it makes the whole competitive matchplay thing fairer and more professional. Yay clocks. Definitely in favour of clocks being mandatory for main divisions – not least from the experience of having to literally run across town to catch the last train home after a tournament bogged down by slow play. It’s important that TDs can keep the schedule on track, and it only takes one individual to ruin the experience for a lot of people. But that goes back to the issue of having intermediate and novice divisions – so that unconfident or inexperienced players can still have a good game without feeling time pressure or disrupting the main division. I am personally 100% in favour of clocks in the Championship Division of all tournaments. However this is another area where I think that it is up to individual Tournament Directors to decide what is right for their tournaments not for the UKBGF to try to impose a one-size-fits-all mandate from the centre. I have long been an advocate for clocks. Coming from a chess background I am used to seeing players agerd 6 to 96 using clocks and i am baffled by some BG players’ antipathy to them. Clock preference should be the minimum prerequisite in all tournaments, with the top players all using clocks. Players should get a clock (they are pretty cheap) and automatically bring it to tournaments with their precision dice and boards. The tournament organisers should have a supply of clocks for use by the players and the TD should impose clocks on a match that is played at an unreasonably slow pace because it can disrupt the whole tournament. Waiting around is one of the drawbacks of tournaments and slow play together with too many (and too long) breaks is unfair to the rest of the players. While clocks cannot guarantee rounds will all finish on time they are the best device for trying to ensure it. For those inexperienced in clocks – get one for Xmas and practice with friends at home or at your local club – I think you will learn to like them. I am in favour of clocks though I am not convinced they always speed up play. The time allowances are generous, and on many occasions if I had almost used up the time allocation I would have played more slowly than without one! However, there are other advantages to the use of clocks not least the prevention of premature rolling, so I would support clock preference at major tournaments, though not compulsory clocks in all flights. I’m a big fan of clocks in tournament backgammon and would like to see more events use them. They make the tournament run more smoothly for everyone and help to reduce contentious rulings. Having said that, some players dislike them and they can daunt newcomers. There are also obvious practical obstacles to more widespread clock play. Different clock policies will suit different tournaments, and the TD is best placed to choose what is best. I’m very much in favour of clocks especially at the higher levels as this seems to be the way most of the international fold is heading. I would encourage everybody to at least have a go at clock play as it adds another interesting element to backgammon but totally understand that not everybody will be a fan. I am very much in favour of clocks being the standard in the Championship Division. Personally, I am a little baffled by some people’s reluctance for their inclusion. Let’s face it, any difficulty in playing with a clock pales into insignificance when compared to the difficulty of the game itself. 12 seconds and 2 mins per game has always seemed ample to me and teaches you to use your time wisely. If you are serious about the game and know that you are weak in certain areas, then you do something to rectify it. As an example, I am certainly not the fastest pip counter around and quite often forget the first count and have to do it again. Without the clock, I could just count and recount, until I was sure it was right. Frankly, I think it is unfair to expect an opponent to put up with too much of that. The clock ensures that I have to manage my time wisely, encourages me to practise things like pip counting, so I can spend my time elsewhere. Clocks ensure that there is a level playing field for everyone. Jon mentioned chess. I haven’t played since I was a kid, but tournaments at school were always run using clocks, yet chess was famous for some of the great matches between the masters having moves that took days to complete. Saying all of that, clocks should not be considered as something to be scared of and players relatively new to the game should have the opportunity to be educated in their use. A more generous time allowance for Intermediate tournaments would help provide a stepping stone. Someone else suggested that a clock should be a part of your playing equipment, in the same way as a set of precision dice are. You can purchase a clock for £20-£30 which is usually a small % of the entry fee for a Championship player. I don’t even currently have my own clock, but think that the suggestion was a great one and I’ll now have one before my next tournament. I am absolutely in favour of more tournaments across the country. But the running of these tournaments will need organising teams in those areas. The board should assist with advice when asked for and promotion of these events. Absolutely not! I have always found the practice of doing this unacceptable. It is always more convenient to stay at the venue, but some simply cannot afford to and try to save their pennies wherever they can. It is completely unfair to penalise those who can least afford it. No – I hadn’t even considered this and find it a little distasteful that there are those who think that any of us have put ourselves forward to reap any financial benefits. I am actually expecting the opposite to be the case. This is a difficult question and I am not entirely sure I understand what you are after here. It is impossible to comment accurately until the constitution has been drawn up. There could be local clubs that have nothing to do with the UKBGF. We clearly have no mandate to force our policies on those clubs. I think it would depend in part on whether the club in question was affiliated with the UKBGF and what the offence was. A few people seem to have a problem with the number of meetings we attend etc. Seeing as there has been nothing mentioned about meetings so far, it is not possible to answer this accurately. Many of the people that have put themselves forward are from the London area, so it would seem logical that any face to face meetings took place there, but this would put a financial burden on anyone outside of London. In this modern age I see no reason why meetings shouldn’t be conducted on Skype or similar. If this works, then barring unforeseen circumstances, most people should be able to attend. I think that most (if not all) of the people that have put themselves forward have done so because they want to actively take part in making the UKBGF successful and I would assume they would therefore be keen to take part in as many meetings as possible. Q1. Yes, I think it would be a good idea to have tournaments around the county. However I think it should be kept to a small number to ensure high attendance to each of them. Maybe a English, Scottish and a Welsh tournament outside the capital and then the UK Open in London to attract more international players due to the proximity to international airports. Q2. No, I am not in favour of this. It should be down to the individual where they stay. If that happens not to be at the suggested hotel; they should not be penalised. Q3. If there is a need for a board member to stay an additional night ahead or after the tournament to set up / pack up, then this could be negotiable. However they should not be paying any less than those playing in the tournament. Q4. If a club wishes to have UKBGF association, there should be an option for a club or an individual to appeal a decision made by the club. If the local club’s ruling were upheld without grievance, there would be no cause for the UKBGF to intervene. If, however, a party wished to appeal the decision the board could review this. Full legislation and would need to be drawn up and agreed upon before these ruling could be actioned. Q5. I think in the digital age we live in there is no need to be co-located for all board meetings. While having a couple of meetings a year face-to-face is a must; if the rest were conducted over Skype or a Google Hangout, I see no reason for not being able to attend. Ideally a digitally attended meeting would be held every month and then a face-to-face one every quarter. I would expect a board member to attend 75% as a minimum. Skype etc is the way forward in this day and age…. there is no need for face to face. Round the table once a year or bi-annually is more for pleasure than a must. Push comes to shove there could be one before or after a major tournament! A: I am in favour of a range of tournaments outside London, but I would not necessarily prescribe that these should be quarterly, or that one MUST be held in a specific region. A willing organiser and a sufficient number of players are required to make a tournament viable. For example when we arranged the 2014 UK Open Qualifier series we reluctantly did not hold one in Scotland or Wales; partly because of the likely low attendance and partly because a volunteer TD wasn’t available. A: Many players have strong feelings about this, because it is BIBA’s policy and has caused much bad feeling among some players in the past. You need to remember that organising a backgammon tournament involves significant costs, and one possible contribution to these costs is commission from the hotel. UKBGF did earn some commission from the DeVere Hotel at the Ricoh, so the few players who chose a different hotel unwittingly reduced this commission slightly. However it doesn’t seem fair to impose a surcharge on local players, and for others a better solution is to try to make the hotel deal sufficiently attractive that most are happy to stay there. A: In general no. Yes if they are part of the organising team and therefore not playing. A: I’m not sure I fully understand this question – do you mean should the UKBGF have the power to bar an individual from its own events because that player is barred from a local club? It is difficult to give a definite answer on this. I think that if criminal action has occurred, the UKBGF would need to consider the case for barring, if only for the protection of its members. In less clear cut cases we would be in very muddy waters, and both sides of the argument would need to be heard. This subject should be addressed in the UKBGF constitution, when it is drafted! A: No. Attendance at meetings doesn’t necessarily indicate who is putting in the necessary effort. Anyone who isn’t probably won’t get voted in again in two year’s time. I have the following questions for ALL 15 candidates and hope they will provide answers here on this blog so that all voters can see them. Please comment on all the above. nominations. I don’t think we can reasonably expect the 15 to answer all of these questions and possibly further ones. I agree… actions will speak louder than words. The fact that Peter has got it so far proves we all want to see it work. Trying to point fingers before it gets of the ground and holding the board to account before it is elected is not the way to start. Danny questions are the type to be addressed once we have a year or two under our belts…. Well, isn’t that the point of having a month for elections? Q1 – yes, absolutely. Whether regional tournaments are run by UKBGF alone or in conjunction with a local club is something that needs to be worked out. Q2 – personally no. To be transparent, facility costs should be fully covered by registration fees. And I don’t think it’s right to surcharge people who have no need to stay at the hotel, eg. if they live nearby. While I appreciate hotels want to maximise their business, they make a lot out of lunches, drinks etc. for non-resident players too. I’d rather get good deals from the hotels by increasing the total number of attendees. Q3 – no. Seven board members potentially plus partners is too big an expense to load onto players at this stage. And I wouldn’t like to think anyone’s standing in order to get free rooms! I would say yes for just the TDs, as they give up their time, work hard throughout tournaments and don’t get to play. Q4 – any sort of disciplinary action is going to be a sensitive issue and would need to be looked at on a case-by-case basis. UKBGF should not interfere in local clubs’ internal matters (although it could remove affiliation from a club abusing its discipline). However, I’d like to see UKBGF develop a code of player and club conduct that local clubs can choose to adopt. Q5 – Board members may have unforeseen problems getting to meetings (eg. illness). I’d like to think the board can show generosity to members when deserved, and have private words with anyone who isn’t cutting it, before considering automatic sanctions. With only two years per term, a better solution might be publishing attendance figures for those who want to be re-elected in 2016? thanks for your answers Julia. Q1 Yes, quarterly or even every two months. Regional tournaments are not just desirable, they are a given as far as I am concerned. Q2 No. Surcharges imply we receive some kind of benefit from players staying at the nominated hotel which should not be the case. Q3 No, it would not be necessary for all 7 board members to be present at every tournament, though it may be necessary for one or two to be there and some expenses would be justifiable. Q4 The UKBGF would need evidence from a local club and the individual before taking this kind of action. Disciplinary matters need to be taken very seriously and both sides of the argument would have to be taken into account. Q5 It is important to remember that all the candidates have put themselves forward voluntarily, and hopefully it is unlikely we will not be “pulling our weight”! That said, I’m sure there would pressure on any board member who found themselves unable to attend a reasonable proportion of meetings to step down. I for one would certainly resign my place if I were not able to attend a reasonable percentage of meetings, though this is an unlikely scenario. 1) Yes – absolutely. The more tournaments the better. 2) I want all charges to be 100% transparent to all participants. There should never be ‘hidden’ charges. The UKBGF should strive to provide superb value for money to participants. 3) Absolutely not. The Board should derive no personal benefit whatsoever from being Board members. These are voluntary, unpaid positions and should stay as such. The Board is there to serve backgammon – not the other way around. 4) I do not see the UKBGF as having jurisdiction over local clubs. (Indeed there is no way that the UKBGF could enforce jurisdiction even if it wanted to). The UKBGF is entitled to take a view on matters and make its views known. It is also entitled to only with clubs that are upholding the highest standards of ethics and propriety. 5) I think that Board Members should carry their weight. This is hardly a job to take on if you want an easy ride. Given the amount of time I know that most candidates for these elections put into the game there should be no worries about shirkers. I think everyone in the backgammon community knows who are the grafters and who are the hangers-on. I would expect the result of these elections to reflect that. I agree with what most have been said, but essentially agree with Sean Williams, Peter Bennet’s and Simon MoreCrofts’s formulation. I have addressed many issues in my self-nomination and urge readers to consult it for my views on these and other subjects. As for Adam’s Stock’s question about clocks. I think UKBGF rules should mandate clock play for its top division and that clock play need not be fast play so that we should use a 15 second delay in our rules and aim for that to be the international standard as it has been established at the World championships this year. But to amplify what has been said, I think the UKBGF is not attempting to duplicate or cover the ground of BIBA. We mustn’t force people to stay in a certain hotel or derive benefits for the board members at specific tournaments. However, in line with what Tim Line has written, it is a possible idea to have each year a Northern England, Southern England, Midlands, West Country, Scottish, Welsh, and Northern Irish tournament. This can be hosted/TDed but local organizers/bodies. Each having the UKBGF imprimatur (i.e. also having an evening charity jackpot and following the rules and giving rankings, etc. ) The winners of these yearly tournaments could then be added to the club champions and the satellites as people automatically qualified and sent to the yearly UK Open. However as Peter says this would have to be assessed on feasibility likelihood of high turnout, etc. This might be something the UKBGF would progress to as it grows but could not implement immediately. We must focus on making sure there is a UK Open in 2015 and establishing the rules of the UK backgammon then as we are more up and running we can accomplish these issues. Q1 I am certainly in favour of having tournaments all over the UK, bimonthly or quarterly sounds about right. All tournaments should have three sections – beginner, intermediate and open. The UKBGF should not be seen as being london-centric. Q2 No, it should not matter where a partcipant stays over the weekend. seems churlish to penalise anyone that lives nearby and travels from home. I know this extra chrage leaves a bad taste in the mouth when applied elsewhere and I would not want the UKBGF to follow suit. Q3 No. If elected i fully expect to be out of pocket! There will be no expenses scandal in the UKBGF! Q4 Not automatic but when the full details are known the board should act accordingly. For instance the circumstances of the barring of the player could be personal between himself/herself and the club founder or it could be a blatant proven case of cheating with a die with 2 sixes on them! If the latter then a ban from all UKBGF events seems appropriate. Q5 To set a figure in stone could cause problems if that person is unwell or going through difficulties. The issue of when the meetings are quorate needs to be addressed. Meetings do not have to be face-to-face with modern technology so a member who showing no interest in the meetings will no doubt be named and shamed on the BG grapevine. I would certainly hope that all 15 candidates are aware of the demands and are happy to meet them. Danny thanks for your questions and I feel as a ‘standing’ member it is appropriate I answer them. Q1. Local club tourneys are held in some of these areas already. I would be in favour of holding tourneys outside of London whether quarterly ones would be viable is a query bearing in mind my first sentence, and would the local clubs be happy to ‘give up’ their already successful tourneys to the UKBGF. Q2. In two minds about this one if someone lives locally and doesn’t need to stay is it fair to make them pay more? What about those that choose to stay somewhere cheaper not at the venue? What if the venue is full? In my experience charging people extra does not go down well so I would vote for a no on this one. Q3. I would not be in favour of this I have put myself forward because of my love of the game and the desire to promote and support UKBGF and backgammon and would not want to benefit from it in this way. Q4. Should not be automatic. All cases should be dealt with individually. Would be interested to hear other views on this one as to whether local clubs feel the UKBGF should have influence in this way?? Q5. We have all had to say how much time we are willing to give to UKBGF. Obviously there will be times when elected members will be unable to attend due to work family/work/holiday/illness but I would expect and would give where possible 100% attendance at board meetings. This will be a matter for discussion by elected members as to where and when these meetings are held to assist in making this possible. These are typical Danny Cohen questions… Having had first hand experience of Danny in my opinion he causes more trouble than any other player … He is band at Battersea for reasons best known for himself. He would never turn up in time for my tournaments because he didn’t want to pay the entry fee. Without entry fees we would never get BG of the ground. Get a life and put your hand in your pocket and help us make BG a successful sport/game. I have no problem with committee members getting perks… and why shouldn’t they, they’re doing a tough job. You can bet your bottom dollar Danny wouldn’t do or apply for the committee because he would do nothing for free or little return. My answers for what it’s worth are all the obvious ones everyone has covered. I do BG FOR LOVE and happy to sponsor events out of my own pocket. Thank you for your answers Tariq and I will leave others to decide the suitability of your reply. This is not the place for me to answer your comments save to say I take issue with much you have touched on. It is a pity you could not follow the other candidates example and answer the questions in a constructive manner. I said what Richard said in a more abbreviated way…. Please do respond to my response Danny….I stand by everything I said. I repeat you have an ulterior motive to get us all to financially support tournaments so you can get your BG on the cheap! Not fiction a FACT. Are you in favour of a quarterly tournament held outside of London – one each in places like the South West, North West, North East/Scotland / Midlands? I am certainly in favour of more backgammon tournaments in different parts of the country. The UKBGF must seek to represent all players across the UK. As for the locations and frequency of tournaments, we will have to see what is feasible. As well as organising regional tournaments itself, the UKBGF could assist local club organisers to put on a bigger event. No. This is a great way to put people off coming to a tournament. No. Board members should not have their tournament entries or social lives subsidised by other players. If someone is only there as TD, and not as a player, then it might be reasonable for the tournament to provide that individual’s accommodation. No. The UKBGF should not interfere in a local club’s disciplinary affairs. However, I do think it is sensible for backgammon organisers and tournament directors to share information on serious incidents. In this electronic age, I anticipate that most communication between board members will be by email and not via face-to-face committee meetings. If a board member is not pulling their weight, the constitution will cover what action can be taken.